In all of Christianity, there is no denomination whose faith identity is as diverse as those of the African American Baptist Church. Although the notion of the African American Church as one unified body is misleading and unreal, the African American Baptist Church as an institution is a very true and formidable reality. The African American Baptist Church, formally identified as the Black Baptist Church is not a single faith or tradition, but it is different traditions and expressions of worship with central, core beliefs that give it an identity as an institution. 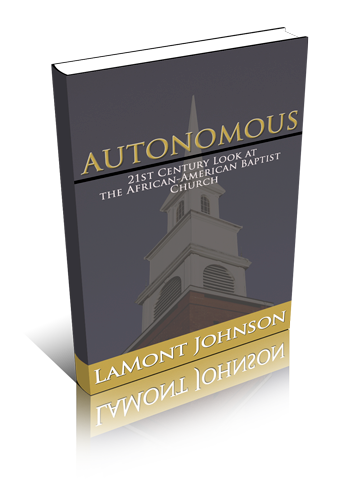 In Autonomous, the reader will notice five levels of interconnectivity within the African American church: the Local church, Association, State Conventions, National Conventions, and World Alliance/Fellowships. The history, doctrines, structure, and traditions herein are laid out in everyday terms. Why? Because a person should understand what they are connected to. In a time of extreme pluralism and transience, people change faith traditions as frequently as they do addresses. One day they are Baptist, the next Presbyterian and then Non-denominational. For the new and lifetime member of the African American Baptist Church, this book will serve as an easy read and an excellent resource.